5D is a 2 bedroom and 2 bathroom sponsor unit under renovation. The apartment is undergoing a total renovation, with new kitchen and bathrooms and with new flooring throughout. The kitchen, dining and living room spaces are designed as an open layout for optimal space and light. 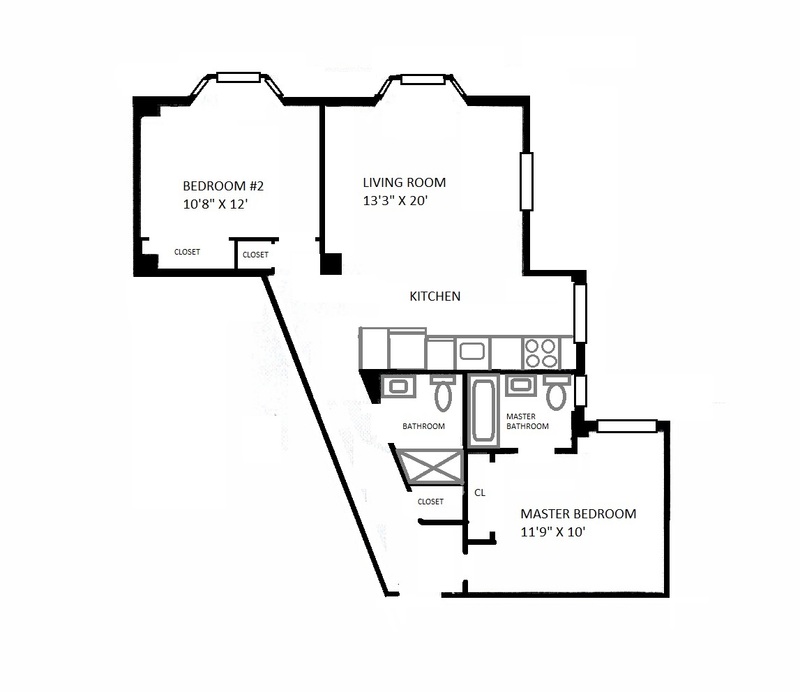 There are two full bathrooms, an ensuite bathroom in the master bedroom and another full bathroom in the hallway. The kitchen will have new contemporary flat paneled kitchen cabinetry, LG stainless steel appliances and a quartz countertops. A pantry next to the refrigerator may be converted to a washer/dryer closet, with the W/D hookups installed. The lighting is a mix of recessed lighting and ceiling fixtures. The ceiling height is approximately 9 ft high. Existing walls and new walls will be plastered and skim-coated, and primed and painted. Ceilings and trim are painted white and walls are painted linen white. The bathrooms will be tiled in porcelain tiling using 12″ x 24″ size tiles. Name brand fixtures such as Delta, Kohler or similar will be used for the bathrooms. Since the unit is a construction site please keep in mind that appropriate shoes should be worn during a visit.